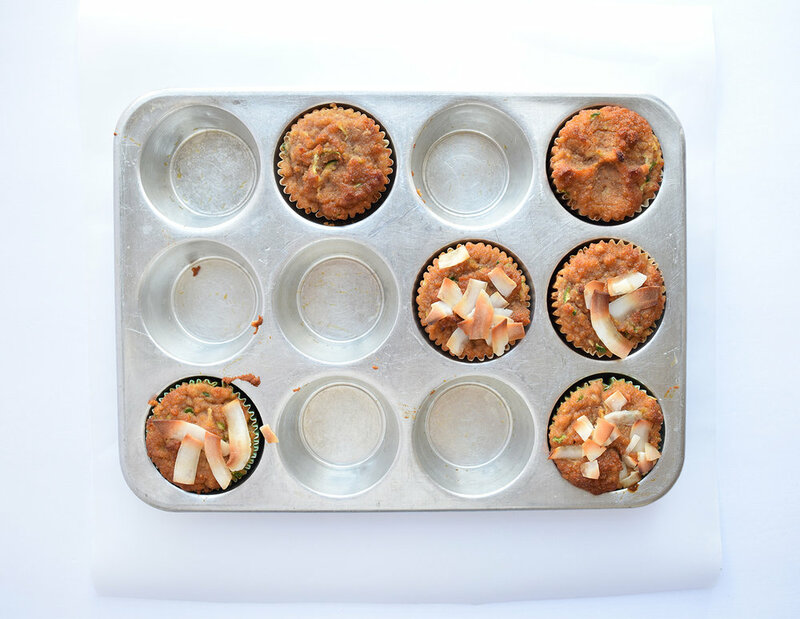 Jan 20 Free Your Energy When You Make These Magic Muffins. Let's be honest. This muffin recipe is not going to free anyone's energy. These muffins, however, could be considered magical because they contain a decent amount of protein, no grains, no refined sugar and have some vegetables thrown in for good measure. Oh, and they taste, pretty good. One learning from this recipe is coconut flour is weirdly absorbent. If a recipe calls for regular grain flour, a lot less coconut flour is needed to make the recipe. It isn't a 1:1 exchange. The taste and texture verdict is still pending on this culinary beauties, but if a healthy breakfast option is required, this muffin recipe rises to the task. Step 1: Preheat the oven to 350. Step 2: Set up a muffin tin paper with liners. Step 3: In a large bowl, mix everything except the zucchini and carrot juice until smooth. Step 4: Stir in the zucchini and carrot juice, then scoop the batter into the loaf pan or divide the batter into the muffin cups. Step 5: For muffins: bake at 350 for 25-30 minutes. They will be golden brown on top. Cool in the pan for 15 minutes, then transfer to a wire rack to cool completely. Store in the fridge in an airtight container for up to 3 days. Well, let me know how these muffins bake up for you. My team gave the recipe a "No Barf" pass. If you have a recipe, you want me to whip up in the next 28 days, send it over. Jan 21 You Need To Make This Soup Every Day. Jan 19 This Is What Happens When You Make A New Recipe Every Day.